Puma Italy Away 2016 Jersey More info. 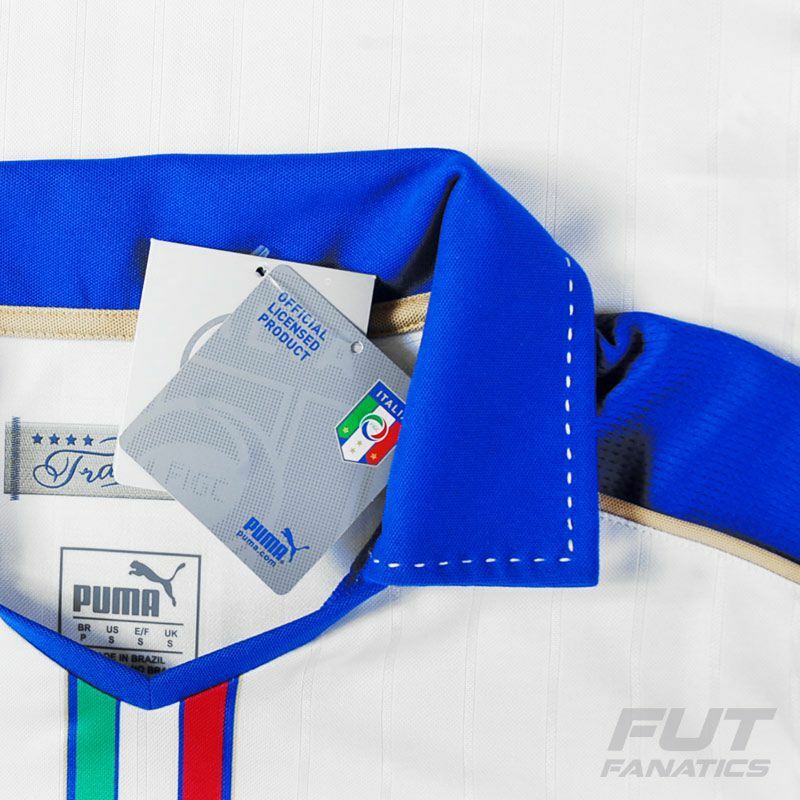 Puma and Italy have released the new Away 2016 jersey in time for Euro. 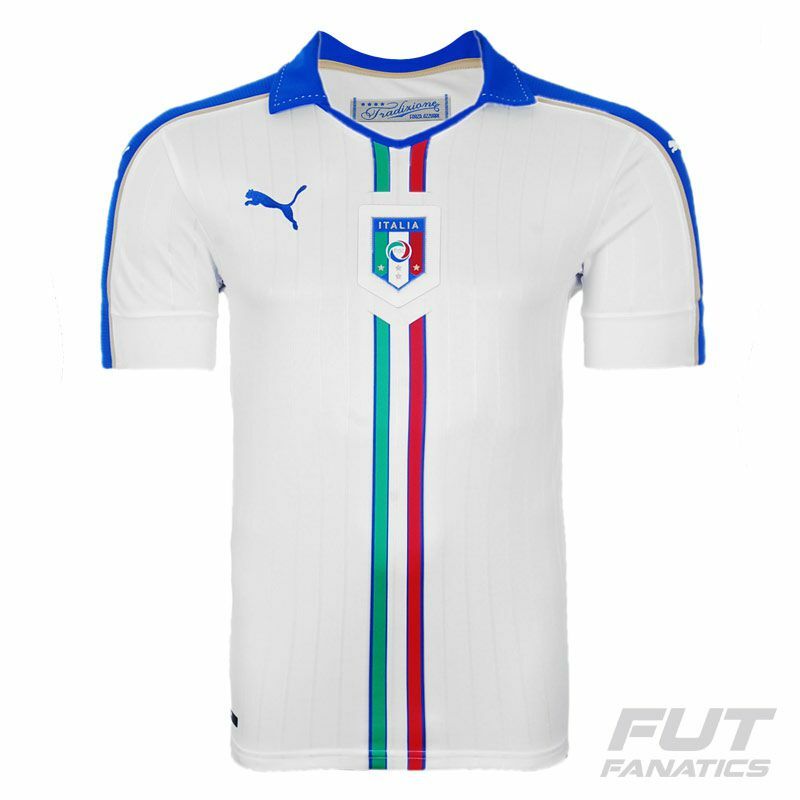 Mainly white, the soccer jersey boasts a classic design with the colors of the Italian flag on details. 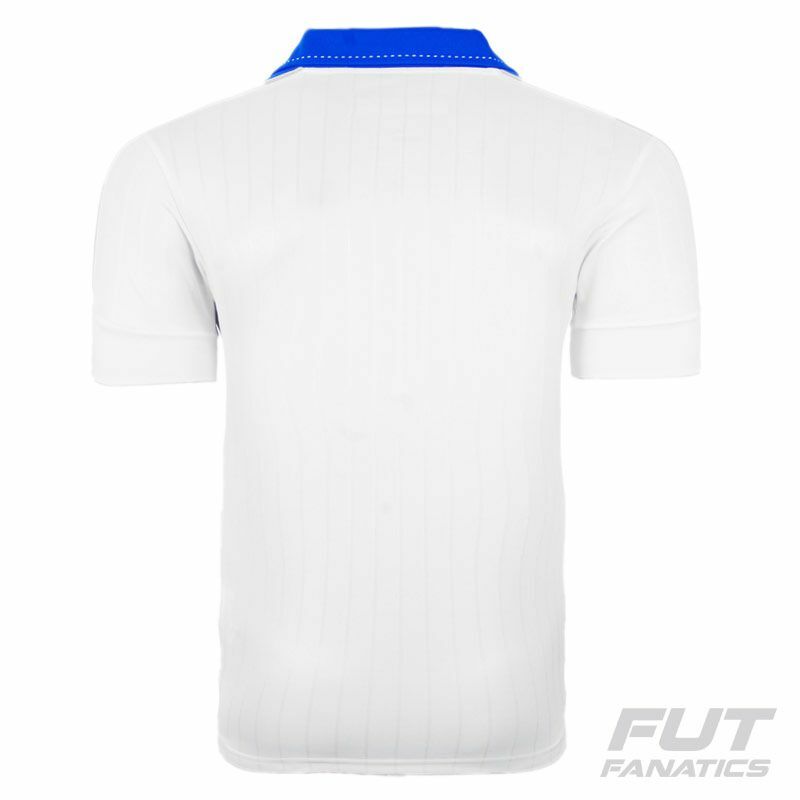 Features a tricolored vertical stripe on the front region of the piece which is surrounded by thiner blue lines. 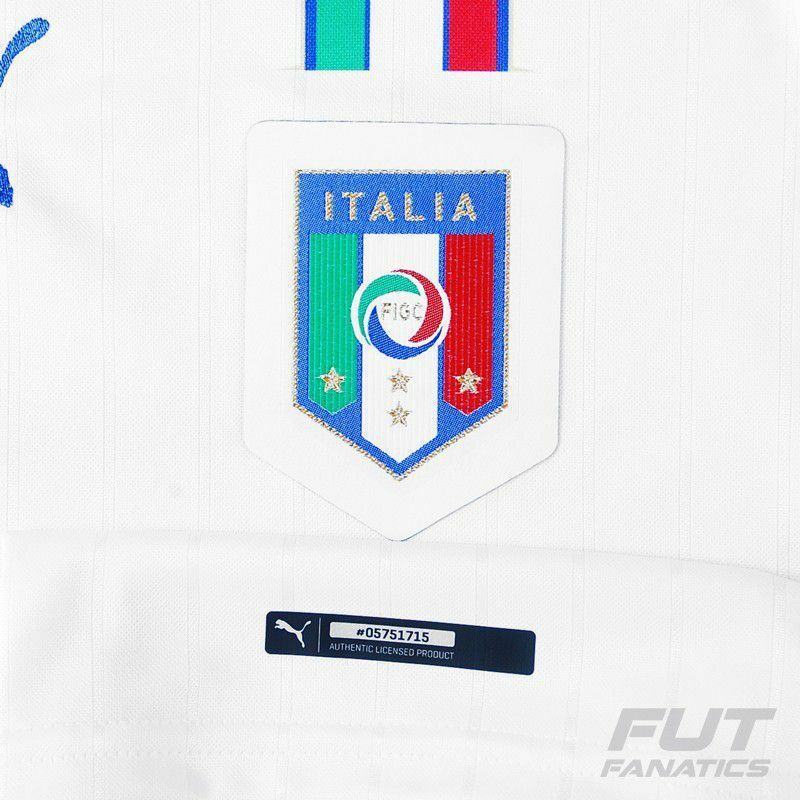 The front of the Italian football jersey has also subtle light gray very thin stripes. The team badge appears embroidered along the tracks in the chest area. Made by Puma from polyester with Dry Cell, moisture management technology. The benefit is a light, soft and highly functional material, designed to help keep you comfortably dry during exercise and draw sweat away from your skin, while the airflows anatomically placed will keep you cool. The Italian National Football Team is one of the most popular and successful football teams in World Cups. The club played six finals and had been victorious in four (1934, 1938, 1982, 2006). They have won one European Championship (1968), as well as one Olympic gold medal (1936). This replica jersey can customized. Choose your favorite player or add your own name and fave number using the authentic font of the club.